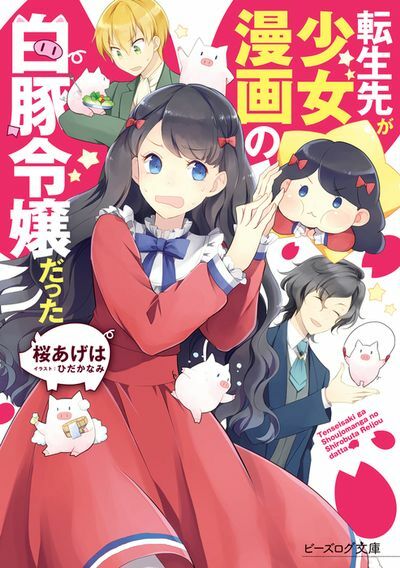 It's a Shoujo type fantasy reincarnation Isekai involving a woman who gets reincarnated as one of the forgettable mean female characters of a story that was very popular on her Earth (it was like the Snow White of her world). This character either fades into obscurity or dies offpage, so to prevent that fate from happening she's going to do the one thing she can... Lose weight so she'll be attractive enough to warrant attention by the major figures in the story. At least, that's how I understand it. The opening has a character kind of like Mitsumi from Kiss Him Not Me, her cousin who kind of doesn't see the weight, just sees her as a person. He could always turn into a Soo-Won from Yona of the Dawn though, but I'm cautiously optimistic he doesn't. Why Should JNC get this? It's a female target demographic and has a fun setup that I think a lot of readers may enjoy. The main character starts out heavy, and as effectively a forgotten side character, so definitely a setup that can be interesting. Volume 2 is releasing soon. Yay! Does This Have a Manga? As a matter of fact, it does! Volume 1 releases on the 15th of September. I think other publishers should get these Shojo LN, Not just Cross Infinite World. You have got my up-vote. I think you misunderstand what cross infinite actually does. They don’t licenses from publishers, as far as I know they go straight to the author, they even do all the artwork themselves. @catstorm I know what they do. It's just that they are really the only ones that have shojo titles. Infinite were stealing all the shojo LN. But yeah it would be nice if some got picked up by other publishers. 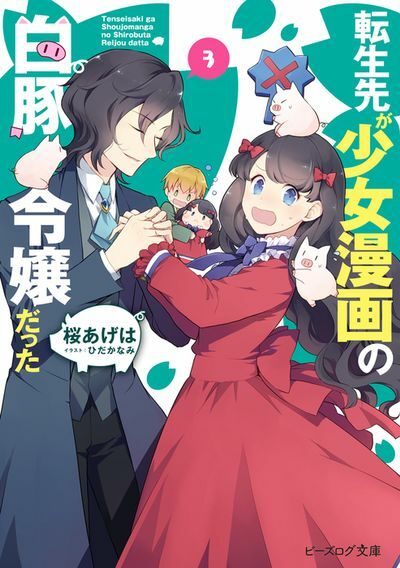 Here's a volume 2 light novel link if you'd like to look at that cover (no major spoilers or anything I think). Edit: The first volume on Bookwalker JP is 30% off today. JP language only obviously. quoting "Why Should JNC get this? It's a female target demographic and has a fun setup that I think a lot of readers may enjoy. The main character starts out heavy, and as effectively a forgotten side character, so definitely a setup that can be interesting." I am a guy and really enjoyed it all the same, thou I cannot relate with women problem, I found self cheering for the Main Character battling against her weight, creating beauty product and striving for an independent life (thou she was controlled by her noble obligations). I enjoyed it so much that after catching up with the wN translation I ended reading the MTL up to chapter 145. Saw some promotional stuff for the manga on Twitter. D'awww. This is occupying 3rd (manga) and 5th (light novel volume 2) slots on Bookwalker's Female book rankings for the week. The first volume is ranked 13th. Oof, I read the preview for the manga. "Now that I'm fat, even my body odor is way worse than a normal person!" That's pretty harsh. Was actually just watching Rachel + Jun's episode on body odor and how Japanese deoderant doesn't need to be strong for their citizens. It seems less to do with their lower BMI than other countries, and more about genetics. I do remember the cousin character was fairly positive with Brittany in the little I looked through, but it was in a way that was almost like completely ignoring / not seeing the weight (he puts her up on his horse, and she is concerned about it handling the weight from the two of them). Kiss Him Not Me starts out bad with body image besides Mitsumi, but it does get better. But maybe this is more egregious. Edit 2: Read some comments from that site you go to for info on light novels that has updates. Apparently, Brittany is really harsh on herself early, but the story does begin to remove that element from the story by Chapter 10. Again, this doesn't wipe out the harshness and ignorance of anything that the author may say about weight in early chapters, but it supposedly gets better. You need to be harsh on yourself to maintain the motivation to lose weight, I'm not sure what your problem is, tbh. I think there's more going on than that that people take issue with (some false conceptions about issues with being fat?). Molly / Verdelish was saying the first few pages were toxic in nature. 10 chapters of self-recrimination may be tough to take for some too. The reviews on the site with novel updates reflect that. I personally like a tale about someone who is a bit harsh on themselves since I tend to be self-consious as well (it's not healthy in the long term, so Brittany using it as motivation but overcoming it and becoming healthy as a person would be nice). And yeah, I find myself wanting to be harsh to motivate myself to exercise as well (parent keeps telling me I look good and seem like I've lost pounds when I'm doing hardly anything, and it's definitely a demotivator). This one is totally funny, it has my vote. Well, this has changed recently (at the least, I know Emeth is an old published work from I think Square Enix). Here's hoping someone will give it a shot someday. 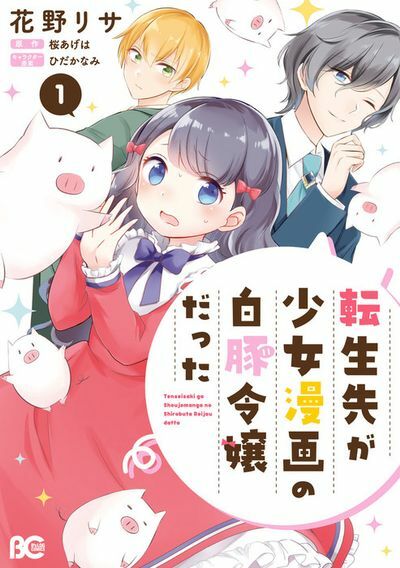 "Tensei Saki ga Shoujo Manga no Shiro Buta Reijou datta"
The author is still plugging along on Narou web novel version, updating it with part 170 as recently as December 24th. Volume 3 releasing shortly (April 15th).